A tale of revenge, redemption, personal growth, hatred, love, slavery and – ultimately – coconuts. 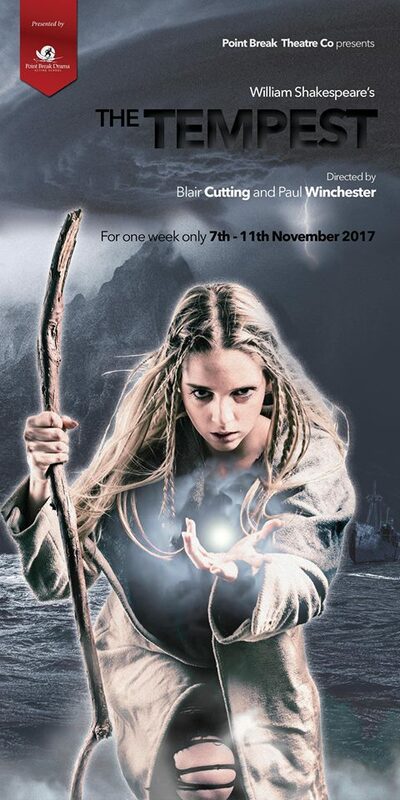 Prospero’s quest for vengeance is obsessive, blinding him to his own short-sighted – and cynical view of the world. Through his love for his daughter – and his increasing awareness of his treatment of both Ariel and Caliban – he comes to an understanding of not only a humanist world view, but also of himself. Cast includes: Kate Lawler, Bella Ford, Arran Burns, Shushannah Anderson, Gemma Crowe, Zoe Bakker, Lily-Maud Horton, Michael Haratzis, Tara Seymour, Charlie Laws, Coll Burns, Catherine Gilbert, Mandela Raj Seppings, Meagan Trimble & Poppy Gu.